Ride-sharing company has agreed to buy 24,000 self-driving cars from Volvo. In an effort to build-out its self-driving fleet, Uber has agreed to buy up to 24,000 autonomous vehicles from Volvo over the course of three years, starting in 2019. Last year the ride-sharing company began to test prototypes made by the automotive manufacturer in the US and now the two companies will further their collaboration in a “non-exclusive” deal going forward. At this time, neither Uber nor Volvo have disclosed financial details regarding the deal but the Financial Times has estimated it could be worth $1.4 billion if Uber were to purchase all 24,000 of the XC90 SUVs outlined in the agreement. 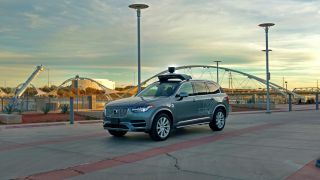 Uber is already using a number of customised Volvo vehicles that utilise both the carmaker's self-driving hardware as well as its own AI technologies. The new deal would significantly expand the scale of the operation but current legislation surrounding autonomous vehicles could make it difficult for the ride-sharing company to reach level five automation where the cars would be completely autonomous. The new agreement will likely put Uber once step closer to deploying its own driverless fleet but it current legal dispute with Alphabet's autonomous car development company, Waymo could lead to difficulties for the ride-sharing firm when the case goes to court in December.